The expressway has a branch at the exit of the tunnel. The right branch is connected to Daisan-keihin Expressway. We walked to the left branch. 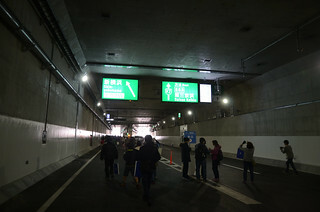 It is connected to Shin-yokohama Exit.